Scott Miller knows the spotlight as the leader of the cult favorite The V-Roys. He also knows the quiet life having returned to Augusta County to take care of the family farm. Miller’s two very different worlds will come together on Friday, Oct. 14, with a concert at the Wayne Theatre/Ross Performing Arts Center in Waynesboro. Concert begins at 8 p.m. Tickets are $25 and on sale now. Comic Rob Ruthenberg will deliver an opening set. 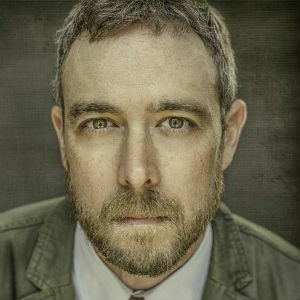 Ruthenberg is a Roanoke-based comedian who has toured the country working with such acts as Adam Sandler, Kevin James, Billy Gardell, and Weird Al. He’s now an on-air personality for The Valley’s Music Place 101.5 FM, Roanoke’s local radio station. Miller, who recently collaborated with filmmaker James Weems and photographer Glen Rose to produce the mini-documentary “Goin’ Home,” which explores Miller’s personal and musical journey since returning to the family farm, will be, in essence, home at the Wayne, 20 miles from where he grew up in nearby Swoope. A graduate of William & Mary, with degrees in history and Russian and Soviet studies, Miller has been a storyteller since childhood, when he developed a fascination with Civil War and Appalachian history that comes across in his music, which reflects a mix of country, bluegrass, rock, rockabilly and down home. He first drew attention in the mid-1990s as the leader of The V-Roys, which were signed and produced by the legendary Steve Earle for Earle’s E-Squared Label. The V-Roys produced two critically-acclaimed albums before disbanding, and Miller moved on to form a new band, The Commonwealth, that has itself won critical praise. Miller is now based in Augusta County, where he took over the family beef cattle farm, and looks after his parents. The Wayne Theatre/Ross Performing Arts Center is located at 521 West Main Street in downtown Waynesboro. Tickets are on sale at the box office from 10 a.m. to 2 p.m. Tuesday-Friday, online through October 14 at 5 p.m., and at the box office starting at 7 p.m. on October 14. For more information, call (540) 943-9999 or visit waynetheatre.org.